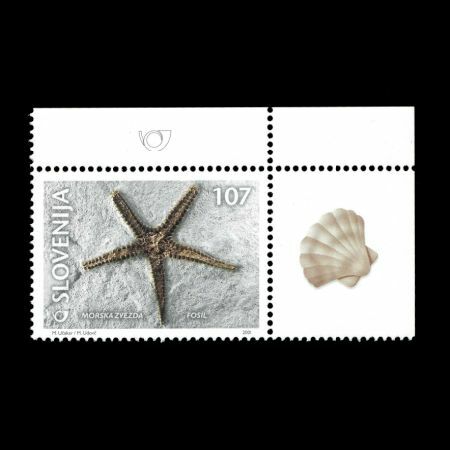 Slovenia 2001 "Fossils - Starfish Fossil"
Although starfish are found in all oceans, they are rarely found as fossils. 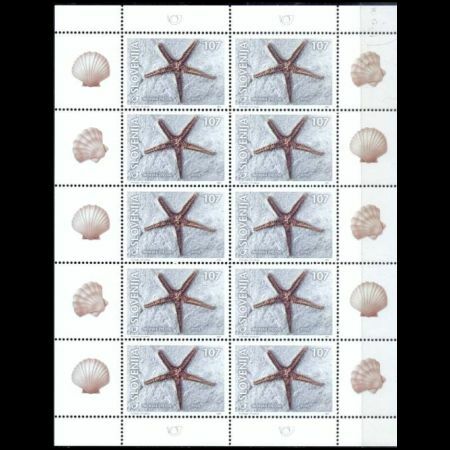 This is because their skeleton consists of some 100 calcareous plates, joined by connective soft tissue. 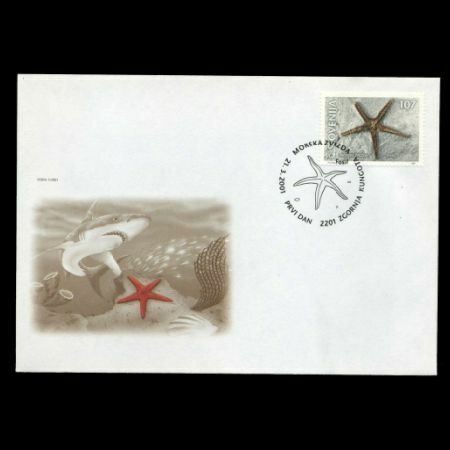 When the starfish dies, the connective tissue between the plates tends to decay, so most fossil starfish consist of individual plates scattered in the sedimentary rock. 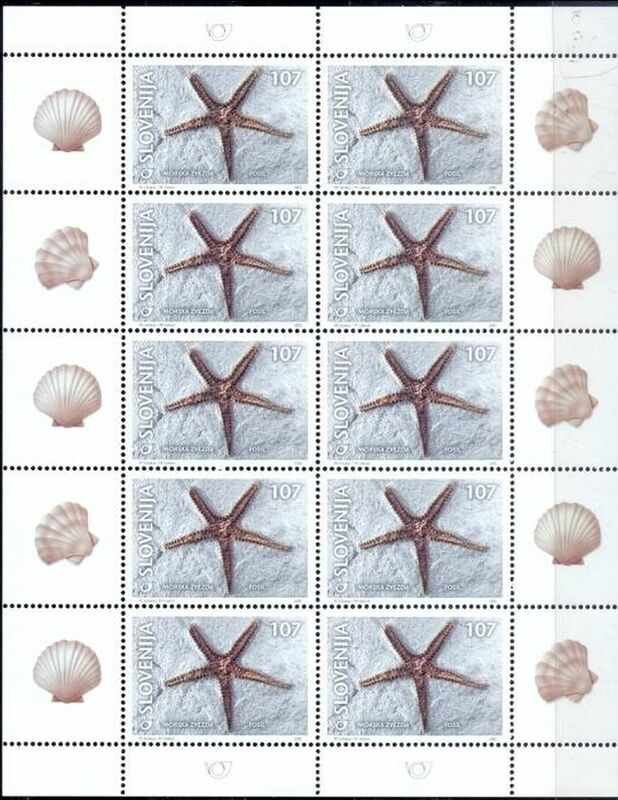 The starfish fossil depicted on the stamp was found near Zgornja Kungota. It measures 75 mm and is kept in the Slovenian Museum of Natural History.